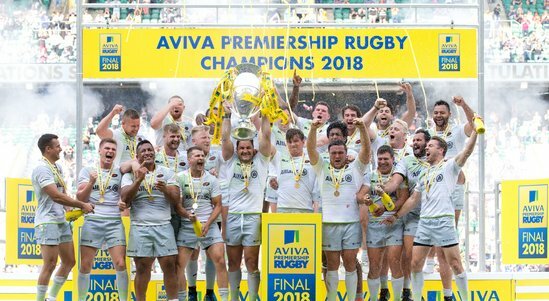 Subscribers are invited to join us on Saturday, June 1 for a special day at this year’s Gallagher Premiership Rugby Final, the showcase of the domestic season. After 22 hard-fought rounds and two semi-finals it will come down to one final game to decide the Gallagher Premiership Rugby 2019 Champions. At this exclusive event, guests can join our expert rugby panel, including The Times chief rugby correspondent, Owen Slot and The Sunday Times Deputy Sports Editor, Nick Greenslade, for a private pre-match preview talk in the Beaumont Room ahead of kick-off. Enjoy a drink on arrival and the opportunity to hear from The Times and Sunday Times award-winning rugby journalists on their predictions for the outcome of the Premiership season’s hotly anticipated final. After the discussion you can have your questions answered by our experts before enjoying the Final from top category seats, along with private access to the Beaumont Room bar during half-time and after the match. 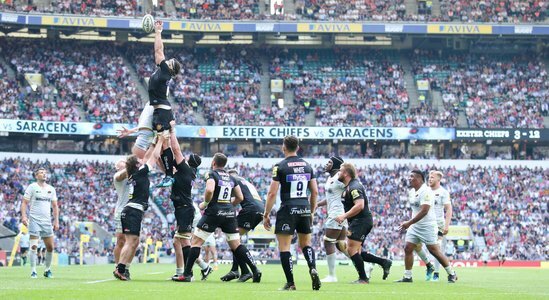 The Gallagher Premiership Rugby Final 2019 will bring together a crowd comprising fans from across the League, to enjoy the best that English rugby has to offer. With everything on the line it will be an action-packed, no holds barred encounter. There is also lots of entertainment off the pitch for all the family in the iconic Fan Village. To book tickets, click on 'book online' in the information box. Please note, you will need to be logged in to see the booking button. Tickets are subject to availability. Places available on first come first served basis. Booking paid in advance and non-refundable. Tickets cannot be resold at a price higher than the face value printed upon them and must not be resold for commercial gain whether to ticket retailers, agents, web companies, ticket touts or otherwise. Tickets will be assigned on a first come first served basis only. Travel to and from the venue and other costs not included in the ticket price are the responsibility of the attendees. TNL reserves the right at any time to cancel, modify, reschedule or supersede the event or any aspect of the event, including guest speakers, if, in their sole discretion, the event is not capable of being conducted as specified. Wherever possible changes will be publicised prior to the event and alternative tickets or refunds provided. Other than death or personal injury arising from the acts or omissions of TNL, or their employees, TNL will not be liable for any loss or damage arising out of attendance at the event. If you require any assistance at our event (such as information about wheelchair access, or if you are hearing or visually impaired) then please email events@mytimesplus.co.uk.